On Monday, January 26, the American Library Association (ALA) announced the winners of its Caldecott and Newbery medals and other awards for the best children's and young adult literature at its Midwinter Meeting in Denver. 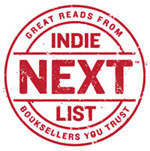 This Friday, July 11, is the deadline for nominations for the Fall Children's Indie Next List, which will be the debut kids' Next List. Children's booksellers can look forward to special programming every day from Wednesday afternoon, May 28, through Saturday, May 31, at BookExpo America 2008. Among the myriad events are an author's tea, a game show for lovers of books for teens and 'tweens, speed dating with children's authors, a traditional children's book and author breakfast, a mostly silent auction, and more. Children's Book Week is being celebrated this year from Monday, May 12, to Sunday, May 18. The 89th annual event, sponsored by the Children's Book Council (CBC), in association with the CBC Foundation, features an array of activities, including the First Annual Children's Book Choice Awards and a children's version of the National Endowment for the Arts' (NEA) Big Read with New York City's Mercantile Library for Fiction. The cover of Mary E. Pearson's new novel, The Adoration of Jenna Fox, bears an image of a butterfly -- a deep blue one with slightly damaged wings. It's an image that holds special meaning for Pearson, who told BTW in a recent interview, "I like looking at it -- and I love the serendipity of it all."